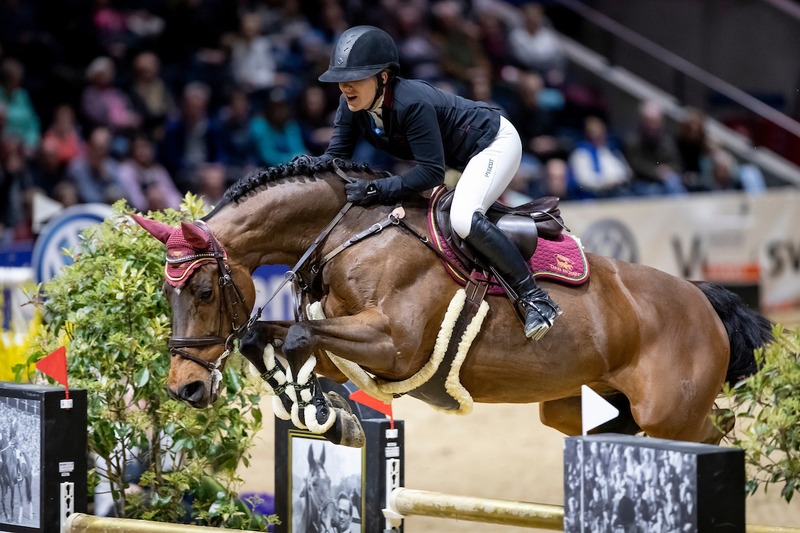 Finja Bormann and „A crazy Son of Lavina“ are in top shape: a week after coming in 11th at the Großer Preis of the Federal Republic of Germany competition in Dortmund, the pair starting for Elmgestüt “Drei Eichen” scored second place at the star-studded Volkswagen Großer Preis tournament in Braunschweig. During the international class S*** show jumping competition, Finja Bormann was one of just five riders who mastered both courses without knockdowns. Ultimately, the pair came in only 1.78 seconds after the winning team of Christian Kukuk and “Lacasino”, succeeded on third place by vice Olympic champion Rolf-Göran Bengtsson on „Oak Grove’s Carlyle“.